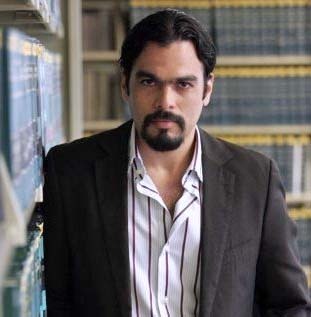 Author Oscar Serrano is director and co-founder of the Center for Investigative Journalism. As it publicly sets off a strategy to strengthen its control over the management of the Government of Puerto Rico, the Financial Oversight and Management Board for Puerto Rico is asking a federal judge to exempt it from having to render accounts to the people of Puerto Rico with extremely dangerous arguments for transparency. The fight for the Board to be an entity to which the minimum parameters of accountability apply is being waged by the legal team of the Center for Investigative Journalism (CPI) and the Legal Clinic of the Interamerican University Law School — attorneys Judith Berkan, Steven Lausell, Luis José Torres and Annette Martínez — both in one case before the San Juan Superior Court and in another before federal Judge Jay A. García-Gregory. In addition, the prestigious Reporter’s Committee for Freedom of the Press (RCFP) entered as a friend of the court in the federal case that is the one we will outline in this column. The controversy, in fundamental terms, is as follows: What legal standard of transparency and accountability will be applied to the Board? The positions expressed from the CPI’s point of view point out that the right to access to information of constitutional rank that can be applied to any other Puerto Rico government agency applies to the Board because the PROMESA Law created the Board as an entity of the “territorial government,” not the federal government. This right establishes that government information is presumed to be public and that confidentiality must be a clearly justified exception and limited by law. On the Board’s side, its position is that it itself will define what to make public and what not, because the PROMESA Law only says that its meetings can be private. It is worth noting that to be private, an affirmative vote of the majority of the members of the Board is needed after learning the matters to be discussed behind closed doors. But, understanding the basic positions, let’s talk about what has been said in court because it is in the official arguments, in black and white, that the concerns are magnified and where there are balance that the courts are required to check to avoid abuses of power and excesses. In response to the CPI’s and the RCFP’s arguments, the Board has submitted a motion with overwhelming claims of absolute power, very similar to those made to defend its power to appoint an administrating officer for the Puerto Rico Electric Power Authority (PREPA), which Judge Laura Taylor Swain rejected at a hearing on Monday. “There is no indication that Congress’s ‘aim’ in passing PROMESA was ‘making the [Board] open to the public’,” the Board stated in the document. To the contrary, if Congress were primarily interested in transparency, it would have made such intent clear in the text of the statute [PROMESA]. Instead, Congress expressly limited the information that the Board was required to disclose to the public. Otherwise, Congress left it to the Board’s discretion to determine when transparency would advance the Board’s stated goal of helping the Commonwealth ‘achieve fiscal responsibility and access to the capital markets’,” it added. The Board also argues that it can not be sued in federal court for access to information issues, because the basis of that claim is “inconsistent” with the PROMESA Law and, as such, it says it does not apply to it. It is interesting that, in another lawsuit in which the constitutionality of the appointments of the Board members is claimed, that entity raises the defense that they are not federal officials, that they are “territorial” officers and that federal laws such as Freedom Of Information Act (FOIA), does not apply to them. If you combine the arguments that the Board makes separately, on the one hand that the right of access to information does not apply to it and on the other that the federal law of access to information does not apply to it, we have an entity that considers itself immune to any claim, federal or state, that citizens may make to it for accountability and transparency. Quite simply, and at least in matters of transparency, it is clear that the Board believes it does not have to answer to anyone. This is important to see in the context of another argument that the Board made in its failed attempt to appoint a Transformation Officer at PREPA. It asked the court to recognize its power to manage the day-to-day of any Puerto Rico government entity subject to Title III bankruptcy, such as PREPA and the central government itself. They added that if they have not made appointments to manage other agencies, it is because they have not wanted to and that PREPA’s case is urgent. Courts and all citizens concerned about the island are obligated to pause and think deeply about what all these arguments reflect: An entity not elected by the people believes it can manage public agencies and corporations without being subject to any mechanism of surrender of state or federal accounts. The more power the Board wants to be recognized under PROMESA, the more imperative it is that this power has basic counterweights such as accountability and transparency. Any fragile pantomime of democratic exercise that is left to the Board will be totally eviscerated if this entity manages to be, at the same time, the one that has the most power over the people of Puerto Rico and the one that least has to answer for the use, or abuse, of that power. Hey Buddy!, I found this information for you: "Oversight Board wants license to be unaccountable". Here is the website link: https://newsismybusiness.com/oversight-license-unaccountable/. Thank you.